Adele May Have To Pay Here Ex $ 90 MILLION! 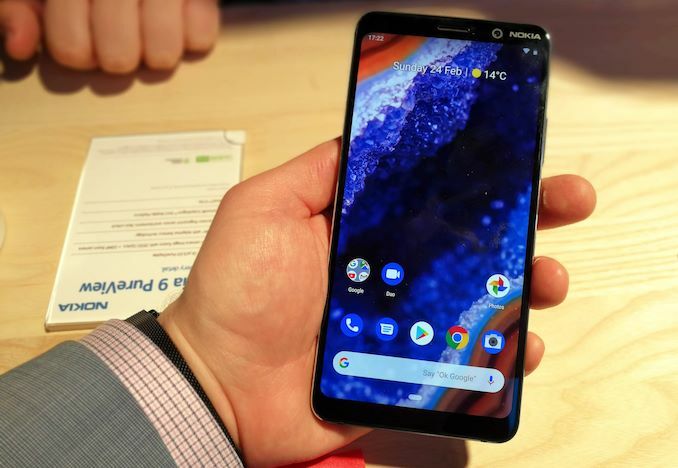 HMD Global has introduced its new Nokia flagship smartphone at MWC 2019. 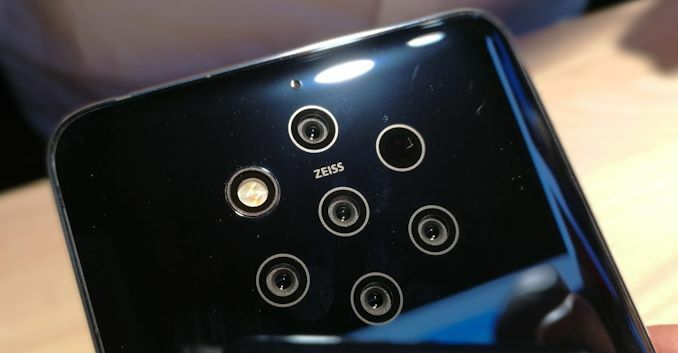 The key feature of the Nokia 9 PureView is its six-module camera (five lens + Time-of-Flight) co-designed with Zeiss and Light that promises to Deliver quality of photos never-before-seen on smartphones. The handset is powered by Qualcomm's Snapdragon 845, comes with a large pOLED display, and has an eye-catching design. When it comes to smartphones, the Nokia brand is renowned for two key qualities: high-clarity displays, and advanced imaging capabilities. 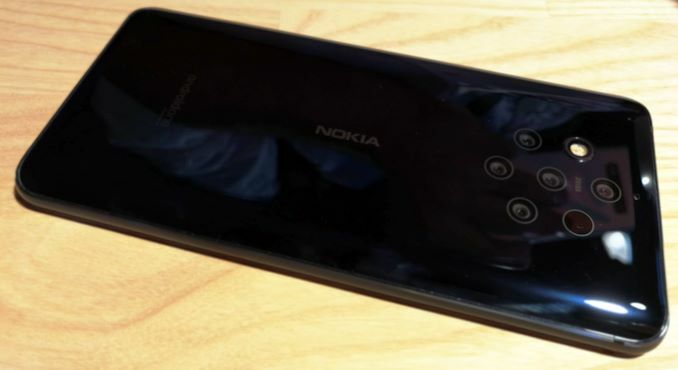 Being the 2019 flagship offering from HMD, the Nokia 9 PureView features both. 2 MP RGB sensors featuring Zeiss optics, three 12 MP monochrome sensors using Zeiss lenses, and a time-of-light (ToF) depth sensor. The camera is controlled by a tiny 14 mm 2 ASIC developed by a company called Light that specializes on imaging solutions using 6, 12, or 18 camera arrays. The Light ASIC independently controls all camera modules in order to focus, adjust exposure levels per aperture, calculate white balance, etc. Once the cameras capture their images, the ASIC fuses them together into a single 'RAW' image (as Nokia puts it, 'HDR image') containing both color and lighting / shadows information. Then the chip transfers the "RAW" data using two MIPI transmitters to a host for further processing. Since contemporary Qualcomm Snapdragon SoCs do not natively support six camera modules, Nokia needed the ASIC from Light not only because it controls the sensors, but also because it packs the data into a format that can be used as a mobile SoC consume and process. Once the data gets kicked into Qualcomm's Snapdragon, the magic from Nokia. The company developed algorithms that use Qualcomm's general purpose, ISP, and DSP hardware to process the image data from the sensors. 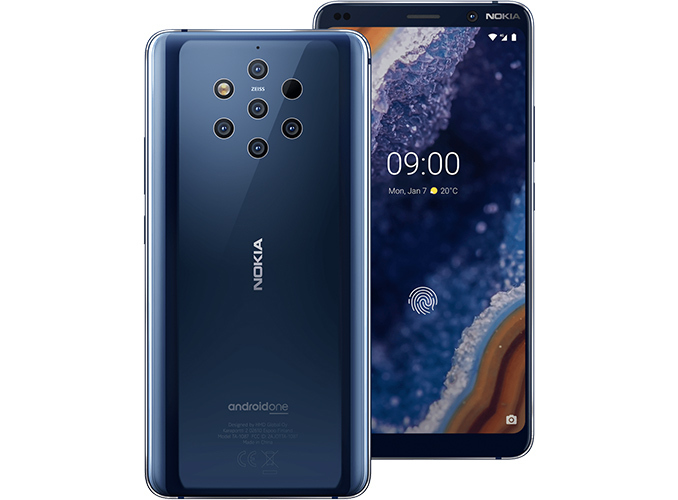 According to Nokia, use of the ASIC as well as various hardware capabilities provided by the Snapdragon enable the Nokia 9 PureView to do some serious image processing without dramatically harming battery life. Combining data from five 12 MP sensors, according to the company , Enable the Nokia 9 PureView to capture a quantity of color and light details. Obviously, using the data available, the phone can apply various effects to photos on the fly using the Pro Camera UI, including the popular depth of field (bokeh effect), various kinds of blur, tilt, shift, etc. What is, perhaps, more important is that RAW (DNG to more precise) images that the Nokia 9 PureView produces can later be edited in all ways, focal points may be changed and so on using pre-installed Adobe Lightroom app ( or Google Photos depth editor). With its six-module camera, Nokia can only offer access to photographers with high end cameras practically to everyone. Powerful imaging capabilities of the Nokia 9 PureView do not end with the highly-custom camera on the rear. 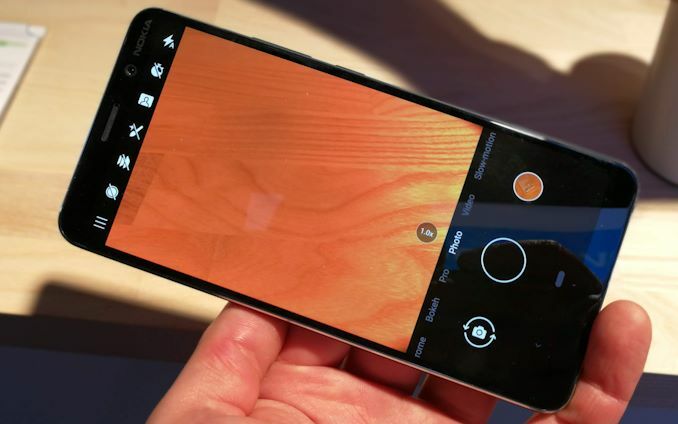 The smartphone has a 20 MP sensor on the front to make selfies. The imaging software also works with this camera as well. The handset is equipped with a custom 5.99-inch pOLED display that covers almost the entire surface of the phone's front side, but still has a small notch. The screen features a 2880×1440 resolution (537 PPI), as well as very high contrast ratio common to OLED type displays. In a bid to make the screen standout from the crowd, Nokia did a number of PureDisplay enhancements to further improve the quality of the display it uses on its top-of-the-line offering. For biometric security, Nokia installed and in-screen fingerprint scanner. The display is protected using Corning Gorilla Glass 5. The Nokia 9 is based on Qualcomm's Snapdragon 845 application processor (four Kryo Gold 385 cores at 2.8 GHz, four Kryo Silver cores at 1.7 GHz, Adreno 630 GPU) accompanied by 6 GB or LPDDR4X memory as well as 128 GB or NAND flash storage (for full specs, please check the table below). The choice of the previous-high-end platform may look a bit odd, but keep in mind that Nokia has to ensure that all of its custom imaging capabilities work with a particular SoC, which is required by lot of time to work CORRECTLY. The Nokia 9 PureView comes in a chassis featuring an aluminum frame and Corning Gorilla Glass on both sides. 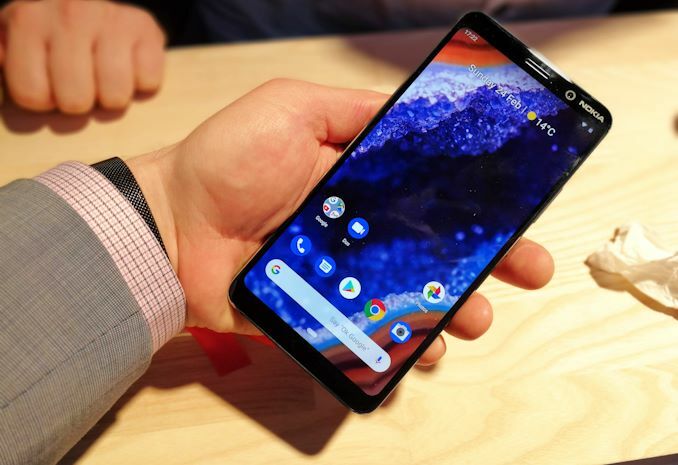 The frame is rounded with chamfered edges which look rather exquisite, enough to compete for the style-minded crowd addressed by the Nokia 8 Sirocco, HMD's forms flagship. The handset will be available in deep – almost black – blue color, which is to emphasize positioning of the device while still being different from black and gray flagships from other companies. Style has always been an important feature of higher-end Nokia phones, so this one is clearly not an exception. Meanwhile, the handset is IP67 water and dust resistant.